Many of you have heard me speak about the explosion of data due to Web 3.0 and the “cloud.” Data can now be collected, organized, analyzed and synthesized to find trends, make predictions and make decisions in ways that just a couple of years ago was not possible. It is often referred to as Big Data. 1. Reflect on a prior learning experience. 2. Reflect on visual stimulus. 3. Reflect on a reading assignment. And so on. Teachers appreciate the simplicity of the exercises, while students enjoy the reflective nature of the writing assignments. Everyone wins! Salmon River Middle School, Fort Covington, NY: School leaders realized they had to educate students to use technology in a safe and responsible way. They ultimately selected Common Sense Media’s free Digital Literacy and Citizenship Curriculum. The curriculum empowers students to think critically, behave safely and participate responsibly in the digital world. Hamilton/Fulton/Montgomery BOCES, Johnstown, N.Y.: The Literacy Growth Profile is a longitudinal data tool used to track student literacy levels. It is based on the Lexile Framework for Reading and tracks the progression of a student’s reading over time. The profile monitors how well a student comprehends various sources, like high school- and college-level literature and textbooks, military texts, personal use items and entry-level occupational reading. 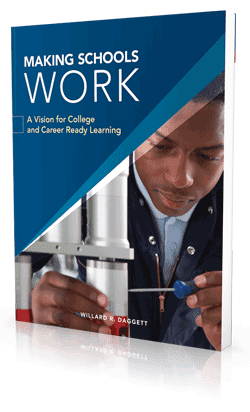 Students are stretched throughout elementary, middle and high school and are at both college- AND career-ready literacy levels when they graduate. Is this reading? Is it statistics? Is it logic? Is it probability? Is it measurement systems? It is writing? The answer is ‘yes’ to each of these questions. Twenty-first century literacy is in multiple disciplines! Is your instructional program designed to teach these skills? They are in the nation’s most rapidly improving schools. At this year’s 25th Annual Model Schools Conference, held June 25-28 in Nashville, we will showcase schools that focus on 21st century literacy. Next week’s blog will focus on the effective uses of technology. Those of you who have heard me speak know I believe literacy is the single greatest key to student success. Brockton High School in Brockton, Mass., was forced to address why students performed so poorly on a state standardized test. They assembled a committee of faculty and administrators who asked this question: “Is this the best we can be?” The answer was a resounding “NO!” From this came an epiphany: The school was not teaching students literacy, specifically reading, writing, speaking and reasoning. The committee concluded that literacy must be taught in all classes – including physical education and the arts. Furthermore, literacy would be applicable to all students, from the most gifted to those most in need. The committee created four charts, called literary charts, to provide visual representation of skills and competencies. The charts listed the corresponding skills for each of the four components of literacy: reading, writing, speaking and reasoning. The charts were posted in every classroom to serve as a constant reminder of literacy’s link to all subject areas and the school’s vision of literacy for all. As a result, student performance improved dramatically, resulting in higher test scores across the board. 1.) The teacher chooses an article that relates to his or her unit’s current topic. The article must be at a high enough Lexile measure to warrant chunking and rereading. 2.) The teacher selects vocabulary to pre-teach, chunks the text for students and creates text-dependent questions that increase in complexity as the lesson progresses. 3.) The teacher uses a Frayer model after completing an activating strategy or hook with students. 4.) The teacher distributes the article and reads it aloud; students read the article to themselves. 5.) The teacher asks students to reread the first chunk on their own. Then the teacher asks the pre-planned, text-dependent questions. 6.) This process continues, and discussion may ensue as the questions increase in complexity. 7.) When students have read each chunk twice, they then reread the entire article to themselves. 8.) The teacher gives students a summary writing assignment (written in the style of a prompt), along with a generic rubric. The question must be structured in a way that requires students to use evidence from the entire text to answer the prompt. 9.) A performance task may be assigned, depending on time and/or student interest. Brockton High School, Brockton, Mass., equipped its faculty to teach literacy wherever possible by creating Literacy Workshops. Faculty members were appointed to guide teachers through a systematic and results-driven approach to teach a certain literacy skill. The workshops were particularly important because by improving literacy skills, students would gain the reading comprehension and language skills to improve in all subjects. At this year’s 25th Annual Model Schools Conference from June 25-28 in Nashville, we will showcase schools that focus on literacy for all students. Next week’s blog will focus again on literacy, but this time literacy for the 21st century. As school leaders determine how to respond to the new opportunities available from the Every Student Succeeds Act (ESSA), I have received many requests for information about best practices in the nation’s most rapidly improving schools. In our ongoing study of these schools, we at the International Center for Leadership in Education (ICLE) have learned that there is no specific formula or program that works. There are, however, consistent practices these schools use at the organizational leadership, instructional leadership and teaching levels. Best Practice 1 — Create a culture of high academic expectations and positive relationships. Johnston County Schools of Smithfield, NC, used budgeting to create a student-centered culture. Every proposed budgetary item—no matter how small—needed justification about how that expenditure would likely impact student performance. The assistant superintendent of instruction had to approve all budget requests. Pembroke Central School of Corfu, NY, needed to address the lack of positive relationships within the district, mainly to resolve a bullying problem. In 2012, the district created a “Safe and Supportive Learning Environment” committee to help create a plan of action to establish a positive culture. The committee used Stephen Covey’s The 7 Habits of Highly Effective People as a framework to guide actions within the district and across the community. It led to the implementation of Covey’s The Leader in Me program across the district. It has turned around the culture for both the schools and the community. Kathleen H. Wilbur Elementary School of Bear, DE, a large elementary school (1,100 students) with a very diverse population, made a commitment and took action to create a positive culture where everyone — from students to teachers to parents — galvanized around a shared vision of growth and achievement. They accomplished this through a series of pep rallies, videos, daily announcements, songs, back-to-school nights, and community activities built around the following theme: “We are WILBUR, we are INSPIRED, HARD WORKERS, GREAT THINKERS, WE PERSEVERE.” In addition, the school created “Dream Teams” of teachers who presented their “best practices” on rigor, relevance, and relationships twice a month to all staff. Wilbur has become a place where each and every student and staff member develops a growth mindset and is supported to succeed. Brooks-Quinn-Jones Elementary School of Nacogdoches, TX, developed an initiative with staff, students, and the community to begin to develop strong relationships. Inspired by Seattle Seahawks quarterback Russell Wilson, who notably said, “Why not me in the Super Bowl?”, Principal Thomas Miller led a series of activities that allowed all stakeholders to demonstrate their interest in and support of students, championing them on with signs and songs, and challenging them to commit to the theme of “Why Not Me?” It has led to a culture of support and high expectations for all students. At this year’s 25th Annual Model Schools Conference, scheduled for June 25-28 in Nashville, we will showcase multiple examples of schools which have created a culture of high expectations for all students. Next week’s blog will focus on districts and schools that have experienced success by making organizational and instructional changes in their schools. 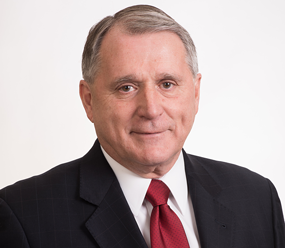 Bill Daggett is the Founder and Chairman of the International Center for Leadership in Education. He writes this blog to share his latest thinking on education.